Kremlin spokesman Dmitry Peskov urged Wednesday not to believe media claims about the alleged participation of Russian aircraft in airstrikes against the Islamic State jihadist group in Syria. 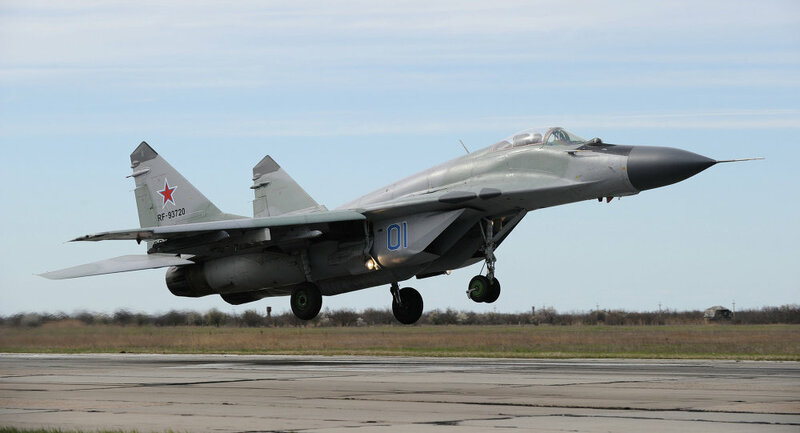 MOSCOW (Sputnik) — On Monday, Israeli news outlet Ynet, citing anonymous Western officials, reported that Russia was allegedly going to send MiG-29 and Yak-130 fighter jets to Syria to conduct airstrikes against ISIL militants. The Israeli media claimed that the jets would be deployed to an air base controlled by the Syrian government forces. "One should not believe these reports," Kremlin spokesman told reporters commenting on the issue. A Syrian defense source also denied the reports concerning the alleged arrival of the Russian jets in Syria, al-Masdar reported. In August, unconfirmed reports surfaced that six Russian MiG-31s landed in Syria as part of an arms deal allegedly signed in 2007. The supposed delivery, according to the Turkish BGN News agency, reflects Russia's intent to help Damascus counter the Islamic State. However, Russian Aircraft Corporation MiG CEO refuted the remors. "We did not deploy [the MiG-31s] to Syria and we have no plans to operate them there," Korotkov asserted.